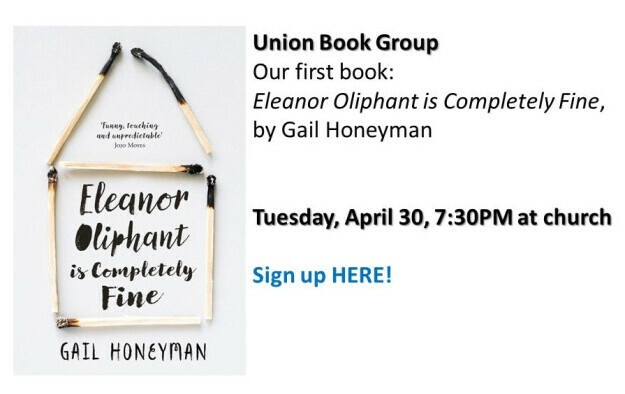 Union Book Group is making a return! Tuesday, April 30, we'll gather at 7:30PM at church. Our first book: Eleanor Oliphant is Completely Fine, by Gail Honeyman. Bring your friends, bring your favorite snacks, and bring your suggestions for future books! Online registration is available below, please contact Monte Peterson for details.